MIAMI, FL, USA, February 28, 2018 /EINPresswire.com/ -- A+S IDEAS STUDIO, Inc., an award-winning Miami-based, Hispanic-Woman Owned full scope digital advertising, marketing and branding agency is proud to announce their recent 8(a) program certification awarded by the U.S. Small Business Administration (SBA). 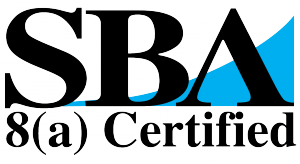 After passing the review and rigorous requirements in the 8(a)-certification process, this certification award proves that A+S IDEAS STUDIO, Inc. meets the requirements to do business with local, state, and federal government agencies as well as large corporations, as a small disadvantaged business (SDB). "It's a great honor to be SBA 8(a) certified - this is the Federal Government's flagship small business development program," said Sarimá Gracia, President of A+S IDEAS STUDIO, Inc. Ms. Gracia, an advertising and marketing professional with almost two decades of experience in both the US Hispanic and general markets, added: "With this prestigious SBA 8(a) certification A+S IDEAS STUDIO, Inc. is now able to take our professional services offerings to the next level, with Federal and Large Enterprise Programs, and provide more advertising, marketing, film production and full scope digital solutions throughout for agencies such as the US Department of the Army (ARMY), the United States Department of Homeland Security (DHS), and the Federal Emergency Management Agency (FEMA), among others. For this 8(a) certification we teamed up with the right Business-to-Government (B2G) partner. Many thanks to the support provided by our top-notch federal certification consultants from Rafael Marrero & Company. Marrero and his staff guided us through the lengthy process in short order and tirelessly assisted us in every aspect of this certification."